A woman injured in an alleged Indiana drunk driving accident this month won her appeal seeking pursuit of punitive damages against the defendant. 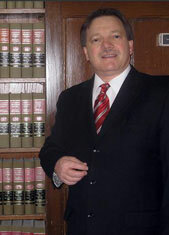 The Indiana Court of Appeals reversed the trial court’s grant of summary judgment to the defendant. The ruling is a victory for victims of Indiana drunk drivers in once again affirming the well-established view of courts in Indiana (going at least as far back as the Indiana Supreme Court’s 1985 ruling in Williams v. Crist) about the egregious wrong one does in taking the wheel while drunk. In that case nearly 35 years ago, the state high court held unequivocally: A person guilty of impaired driving is automatically guilty of the “willful and wanton misconduct” requirement necessary to to seek punitive damages in an Indiana injury lawsuit. Of course, our Munster drunk driving injury lawyers know that there really is nothing – no amount of money – that can achieve that goal. There is absolutely no price tag on catastrophic injuries or death, and those affected would give back every dime if it meant they could regain what they lost. Still, the goal of compensatory damages is all about what a plaintiff has lost and what can be offered to help them heal to the fullest extent possible. The amount is supposed to be calculated in a way that equitably compensates a person, sometimes dollar-for-dollar (i.e., medical bills), but other times for intangible losses like pain and suffering and loss of consortium. The Indiana Court of Appeals this month rejected an argument by an auto insurer that it should not be required to cover bodily injury damages caused by its insured because a policy exclusion barred him from coverage if he drove with a suspended license. As long-time Indiana car accident attorneys in Gary, we know well the ways in which auto insurance companies will seek to deny coverage. Exclusions drafted into auto insurance policies are the basis for many insurance claim denials. However, as our injury lawyers often explain, an insurance company denial is not the last word. With the help of a dedicated personal injury attorney, auto insurance denials can often be successfully challenged. According to court records in the recent case, the insured/at-fault driver in this matter lost control of his vehicle and slammed into the side of the residence, resulting in both bodily injury and property damage for himself as well as the occupants of the dwelling. A verdict of more than $1 million in favor of an Indiana car accident victim was affirmed by the Indiana Court of Appeals, which found reasonable basis for this compensation, even though the rear-end collision was low-speed and caused only minor damage to the vehicle. Highland car accident attorneys point to the outcome of this case as an example of the fact that an Indiana auto accident need not be severe or result in horrific crash scene photos in order to result in serious injuries. So long as your injury lawyer can prove the damages you suffered were result of the collision, compensation should be made available from the at-fault driver. Possible losses may include past and future medical bills, past and future wage losses and lost earning capacity, emotional anguish, loss of life enjoyment and loss of consortium. To pursue a comprehensive damage claim is not excessive; those are real losses, and you should not be the one to bear them without compensation if they were the result of someone else’s negligence.